I would like to hear from any members competing or training in other disciplines besides the showring. If you are not a member you can always join! The activities consist of the Kennel Club ones which are Obedience, Agility, Flyball, Working Trials and Heelwork to Music. 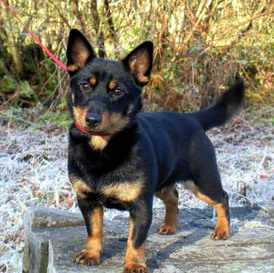 Also it would be interesting to hear of Heelers working with sheep or cattle or any other activity. Is anybody competing in adult handling classes as some of the shows have these classes? 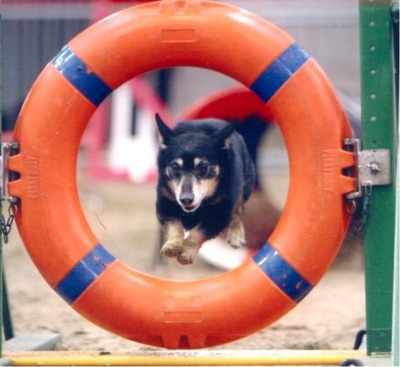 Younger Bill competing in agility. He is now aged 18. 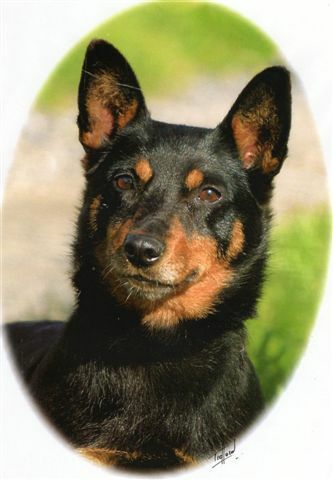 I have competed in agility for over 20 years with Yorkshire Terriers and Heelers and I am still competing now. I have shown my dogs and also competed and qualified in Working Trials and also done a little Obedience. I also teach agility at my club and I have mostly the small and medium dogs (most of them terriers). Their attitude to life is often different from the larger dogs. The age range of my pupils is from 12 to over 70 so any age can have a go. I am very interested in encouraging other people to do other disciplines with their dogs the more you can occupy their brains the better. How many juniors do we have in the club that compete with their dogs? Have you joined the Young Kennel Club which is an organisation for all young people interested in dogs? We would like to hear from any juniors that compete in any of the above disciplines including handling classes. Please let us know and we could start a Junior Section on the website and in the magazine. I would be willing to arrange training days in most disciplines if enough people were interested. How to find a club near where you live. clubs some of which are registered with the KC. Always check with the club to make sure it is suitable for you and your dog. Heelers may be difficult. Jackie Reid the proud owner (sometimes) of Bill, Sparkey and Flora.